Nick Jr. has given the greenlight to Kavaleer Productions for the second season of ‘Kiva Can Do!’ with plans to distribute it internationally. The popular children’s animation, which is centred on the theme of invention and creation, has begun production for a second instalment of 52x11’ episodes. The show is set to follow the same broadcast and distribution format as season one, which will see it air on Nick Jr. channels across a number of international territories in 2019. 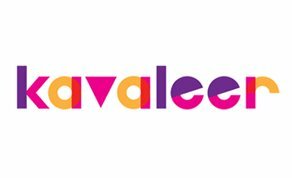 The series was created by Kavaleer CEO Andrew Kavanagh and is produced by the company’s Managing Director Gary Timpson. ‘Kiva Can Do!’ follows the adventures of seven-year-old Kiva Kain, the world’s greatest kid-inventor; Saul Dunne, her mechanically-minded best friend; and Angus, their intrepid cardboard puppy companion. Encouraged by Kiva’s fun loving grandma Nanni, they embark on highly imaginative adventures just about anywhere! They assail the slopes of the highest mountains, dive to the bottom of the sea and explore the furthest regions of outer space in their quest for fun and friendship. This news was announced on behalf of Nickelodeon International by Brian Lacey of Lacey Entertainment, who handle the series’ worldwide distribution rights for TV broadcast and home entertainment. Broadcast territories for the Nick Jr. series include: Benelux, Germany, Switzerland, Austria, Greece, Indonesia, Vietnam and the Philippines for both pay and free TV; and the U.K., Australia, New Zealand, Scandinavia, Italy, Spain, Portugal, Israel, Africa, Latin America, Southeast Asia, India, South Korea, Israel and the Arabic speaking MENA region for pay TV Rights. ‘Kiva Can Do!’ recently launched at MIPCOM 2017 and is partially funded by the Irish Film Board, the Broadcasting Authority of Ireland, the Section 481 Tax credit and RTÉ. The series was developed with the assistance of Creative Europe.